Along with the rest of the reading world, I reacted with unabashed joy at the news that Harper Lee’s original manuscript, Go Set a Watchman, had after all these decades been unearthed. Thought to be lost forever, oh what a fabulous find! And I waited with irrepressible delight for its publication, reserving my first edition through the best book club in the world, Alabama Booksmith. Oh, how I couldn’t wait! This manuscript was published in its original form, with a very minor copyedit, and that’s it. There wasn’t of course, any way on God’s green earth that it could live up to To Kill a Mockingbird. How could anything bear up to such a unique American Classic. Of course it couldn’t. And I didn’t expect it to. I won’t even get into the Atticus issue. That’s an entirely different topic. Suffice to say, however, that part crushed my soul . . .
And now of course, the litany of disappointments stream in. Many readers and reviewers have weighed in on this, and some book stores, the most famous at this point being Brilliant Books in Traverse City, Michigan, are offering full refunds. 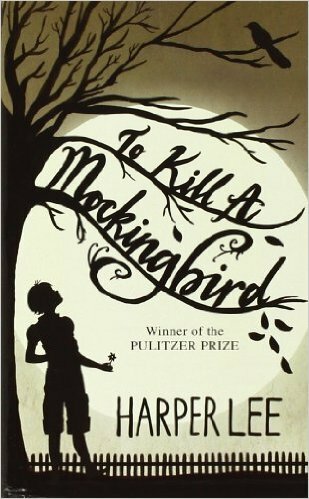 The Atticus issue aside, readers have a right to complain as they were promised a nice summer read, a book by the brilliant Lee, in the vein of Mockingbird. Well, marketing being what it is . . . Although honestly I can’t imagine this tome needed marketing. From the instant the manuscript was found, the whole world’s been a-twitter. The long and short of it, of course, is that this is a first draft of a first novel. And while it has brilliant moments, shows the extreme promise of a talented new novelist, portrays segments of the South in all of its ugly, and by rights, beautiful, glory, it’s a wandering grouping of anecdotes that lacks cohesion and narrative structure, and sort of falls into itself in so many places where it never comes back. Yep, a first novel. That’s the way they are. The seeds of a much deeper, more nuanced, more meaningful story is surely on these pages. But as is, they’re seeds, somewhat scattered in the wind. I see this a lot. First novels are, well, first novels . . . And without the guiding hand of a great editor, they truly should never see the light of day. What I absolutely adored about this, however, was the simply amazing invisible hand that brought from Watchman, Mockingbird. Oh, my, God. Now, reading this one, I can see where she pulled it out, see the true story, waiting to be uncovered from under all the ancillary scenes and verbiage and superfluous characters given so much purchase on the page. See where and how a promising young writer became an icon. And yes, yes it surely does. Known as a hard, firm editor, Hohoff also said they went back and forth on ideas, disagreeing on some, then talking it out with a give and take that resulted in one of them coming to the other’s way of thinking, or sometimes opening up an entirely new direction. Because that’s what a great editor does. I often see promise. It’s there. It’s buried. The real story and characters yet gleaming under the muck. And my job is to help the writer pull that out and create a great novel from it. It’s the essence of what a real editor does. So Watchman, for me (although I suspect Hohoff is revolving in her grave), was a truly fabulous find. Just to get a ringside seat for the working out of the process that took that book and turned it into To Kill a Mockingbird, is, well, just absolute heaven for me. And I stand here in awe at the skill of an editor at the very top of her game, working at the highest mastery of her craft as she led a young writer and coaxed from her a truly great book. My hat is off to you, Ms. Hohoff. And with every fiber of my being, I thank you. Spoken as only a truly great editor might. You are, indeed, a credit to and icon of the world of great editors. Thank you for this wonderful article and the clarity it gave me for the importance of a good editor! Glad to be of help, Becky!